Drinking plenty of water (a recommend two litres a day) will help your body flush out toxins. 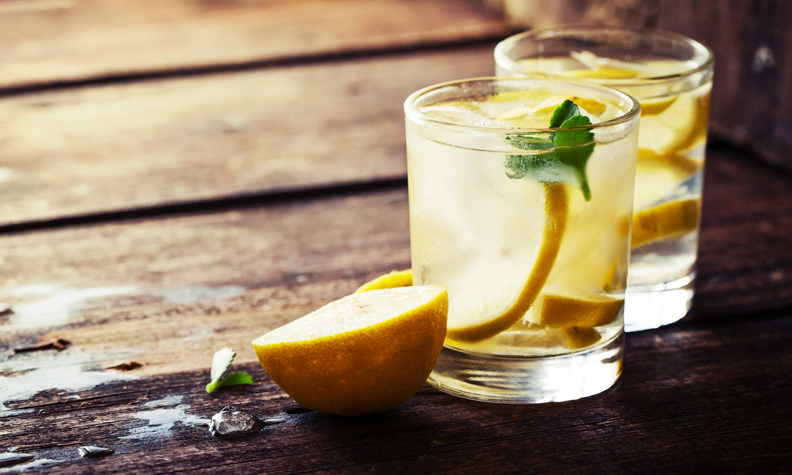 Adding lemon to your water however has the added benefit of aiding digestion and detoxification. Research shows that the temperature of the water could also aid your body. Water at room temperature or slightly warm is the most beneficial. Turmeric has been used in cooking for thousands of years, it is a key ingredient in many curries but can also be enjoyed as a tea. The mustard-coloured spice is known to help cleanse the liver, along with having other detoxifying benefits, such as improving kidney function, stabilising blood sugar balance, as well has helping some digestive disorders and having anti-inflammatory benefits on the body. Adding probiotics to your diet is a fantastic way to help cleanse your gut. Probiotics are naturally found in the body, but can become depleted as a result of poor diet. They are believed to boost your immune system and help heal inflammatory digestive conditions as well as having many other health benefits. Probiotics can be found in dairy sources such as yogurt, labneh and soft cheese. If you are lactose intolerant or vegan sauerkraut and miso soup provide good sources of probiotics. High fibre foods can help detox your body with greater efficiency. They come in two varieties: soluble fibre (such as oats, lentils and beans) and insoluble fibre also known as ‘roughage’ (including wheat bran, whole grain cereals and dried fruit). Fibre promotes healthy digestion and helps remove toxins that build up in your colon and intestines.